The study of tajweed is important because it protects the reciter from “lahn” (mistakes) in the recitation. These categories are “lahn jali’ ” and “lahn khafi’ “. 1. “Lahn Jali’ “لحن جلي : This is the mistake that is so obvious, or “big” that both a novice in Tajweed and the expert in it can identify it. This category of mistake in the recitation is “haram” (forbidden) to commit as it may completely change the meaning of the verse(s) being recited. Changing (substituting) one letter for another e.g. letters of the Arabic alphabet which may sound “close” to one another, but nonetheless have different “Makharij” (articulation points). An example of this could be substituting a “saad” (ص) for a “seen” (س) or substituting a “kaaf”(ك) for a “qaaf” (ق). This can alter a word into a completely different word (and meaning). Extending (Elongating) the sound of a letter in a word, such that it implies that there is an extra letter there. An example of this could be extending the length of a “Fat-ha” sound (one of the short vowels) on a letter so it sounds like an “Alif” is after that letter (i.e. making it sound like a long vowel sound), or elongating the sound of a “Kasra” (another short vowel) on a letter so that it implies that there is a “yaa” after that letter. An example of this would be saying the word ( لَتَرَوُنَّ) incorrectly as ( لَّا تَرَوُنَّ ), and this would affect the meaning of the verse which contains this word. Changing one “Harakah” or vowel for another. For example, in the following verse, if the “Fat-ha” on the letter “Haa” in the word “Allah” were to be mistakenly read as a “Dammah”, it would change the meaning of the verse into an opposite (and forbidden) meaning. 2. “Lahn Khafi’ ”لحن خفي : This type of mistake in recitation is “smaller” than mistakes from the “Lahn Jali’ ” category. These mistakes involve leaving those rules of recitations and subtle properties of the letters that contribute to the completeness and beauty of the recitation. This type of mistake is “makruh” (disliked) to commit and does not invalidate the prayer in which such a recitation is done. 1. These are mistakes which are easy for a non-expert in tajweed to identify. 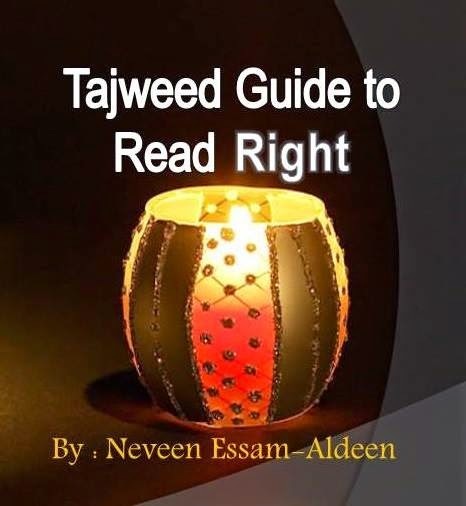 Examples include mixing up the “tafkheem” (heaviness) and “tarqeeq” (lightness) of the letters, or mixing up the “idhaar”, “idghaam” and “ikhfa’a” rules. 2. This includes mistakes that experts in tajweed can identify, but a non-expert may miss. An example of this is applying the finer rules of recitation involving the letter “raa” (e.g. the word,( مُّسْتَقِرٌّ ) in surah al-Qamar, where the “raa” has a “shaddah” on it). Another example is keeping control of the voice during recitation of the “mudood” (elongations on certain letters) so that the voice doesn’t “fluctuate” during the elongation. Also, keeping the length of the various categories of elongations consistent during all of one’s recitation comes in this category. For example, if during the recitation of “madd muttasil” or “madd munfasil”, we started doing the elongations to a length of “tawasut” (count of 4), we should keep it like that throughout the whole recitation and not alternate between “tawasat” and “tool” (count of 6).